SINGAPORE — Asian stocks were mixed on Wednesday, as traders mulled over the Federal Reserve's interest rate decision and weaker-than-expected Japanese trade data. KEEPING SCORE: Japan's Nikkei 225 index fell 0.4 percent to 21,025.10 while South Korea's Kospi rose 0.6 percent to 2,074.38. Hong Kong's Hang Seng was 0.1 percent higher at 25,835.66. The Shanghai Composite index shed 0.3 percent to 2,567.93. Australia's S&P ASX 200 gave up 0.5 percent to 5,560.30. Shares were higher in Taiwan and Southeast Asia. WALL STREET: Most U.S. indexes broke a two-day losing streak as technology and consumer-focused companies climbed. Energy stocks plummeted along with crude oil, which reached its lowest price since August 2017. The broad S&P 500 index added 0.22 points to 2,546.16. 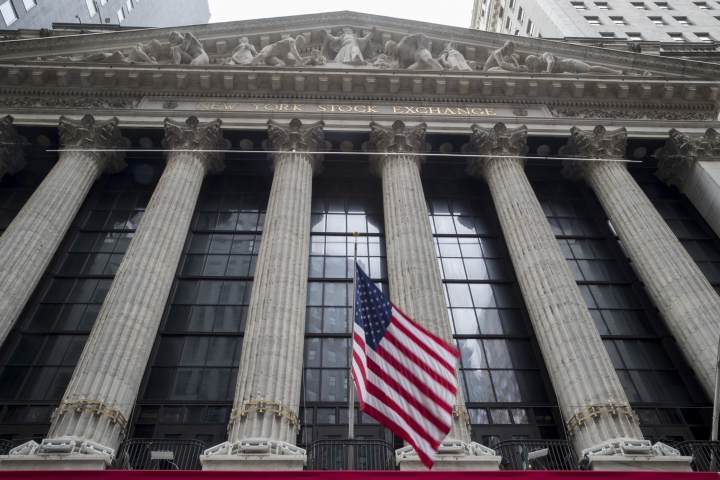 The Dow Jones Industrial Average gained 0.4 percent to 23,675.64 and the Nasdaq composite was up 0.4 percent at 6,783.91. The Russell 2000 index of smaller company stocks lost 0.1 percent to 1,377.18. The index is 21 percent off its peak set in August, past a level the Wall Street terms a "bear market." FED DECISION: The Fed is widely expected to raise its short-term interest rate after a meeting ends Wednesday. It is expected to raise the rate — used as a benchmark for many consumer and business loans — by a modest quarter point to a range of 2.25 percent to 2.5 percent. The central bank has forecast three more hikes in 2019, but investors doubt it would go as planned. Higher rates can slow economic growth and the U.S. economy is expected to cool off in 2019. China and Europe have also suggested that growth is slowing. ANALYST'S TAKE: "While U.S. economic signals are not flashing red ... many market participants believe the Fed should provide investors with some breathing room after higher interest rates coupled with tighter liquidly conditions have sent equity markets on a downward spiral since October," Stephen Innes of OANDA said in a commentary. "What is sure from my chair is the Fed will deliver a fourth rate hike for the year on cue, but what is entirely up in the air is which key cardinal point the meeting will shift too," he added. JAPANESE TRADE: On Wednesday, Japan reported that its trade balance in November was a deficit of 737.3 billion yen, from 450.1 billion yen in the previous month. This is its fourth deficit in last five months. The country's exports broadly slowed, partly due to weakening demand from China. Japanese exports rose 0.1 percent from a year earlier, as compared to October's 8.2 percent gain. This fueled concerns about the impact of the US-China trade dispute on the world's third-largest economy. ENERGY: Oil prices bounced back slightly after plunging on worries about rising supplies and weakening global growth, which could weigh on demand. Benchmark U.S. crude gained 12 cents to $46.72 a barrel in electronic trading on the New York Mercantile Exchange. The contract, which has fallen almost 40 percent since October, gave up $3.60 to $46.60 on Tuesday. Brent crude, used to price international oils, added 34 cents to $56.60 a barrel. It lost $3.35 to $56.26 a barrel in London. CURRENCIES: The dollar weakened to 112.39 yen from 112.52 yen in late trading Tuesday. The euro rose to $1.1387 from $1.1366. AP Markets Writers Marley Jay and Stan Choe contributed to this report.